Natural chalcedony is a rare occurrence these days. Most chalcedony gemstones are heavily dyed. 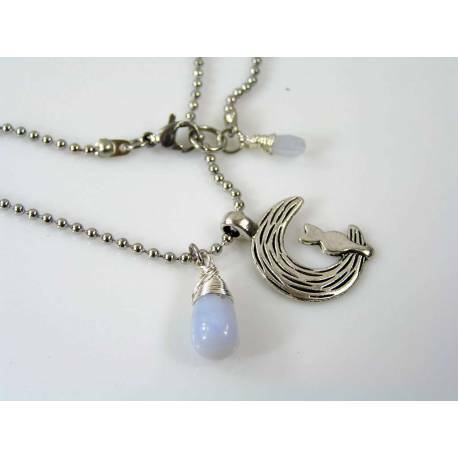 This crescent moon pendant reminds me of my cat sitting on the window sill with the moon being visible outside. 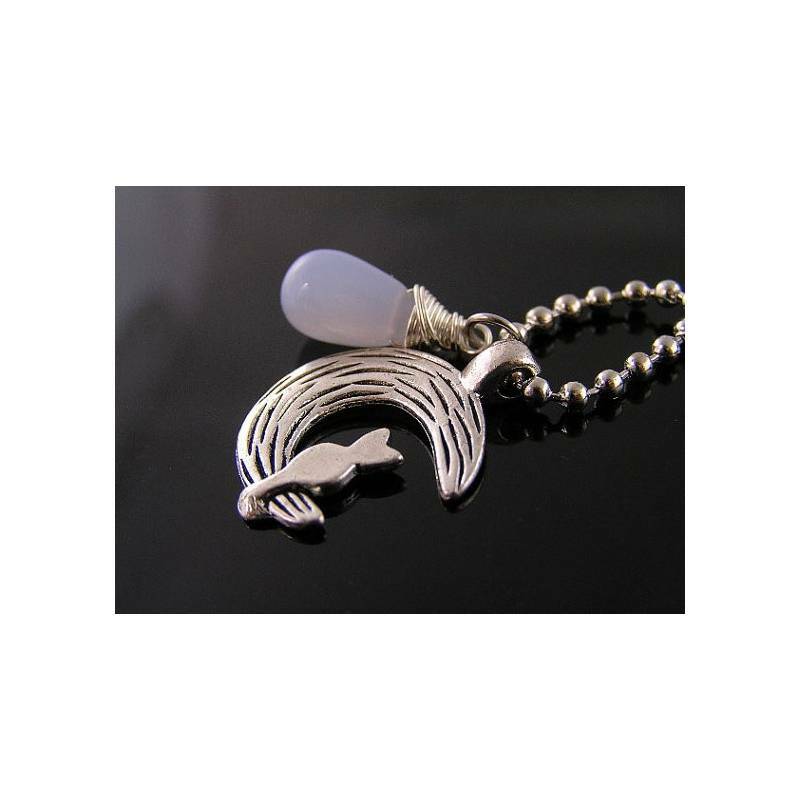 To symbolise the calm blue sky, I chose a wonderful, all natural blue chalcedony drop. Natural blue chalcedony is rarer than you might think. Most chalcedony available these days is heavily dyed (and unfortunately tends to fade after a few months). The gemstone measures a respectable 12mm in length and is polished to a smooth shine. I have added another blue chalcedony right next to the clasp. This one is another all natural coloured gemstone which has been faceted. 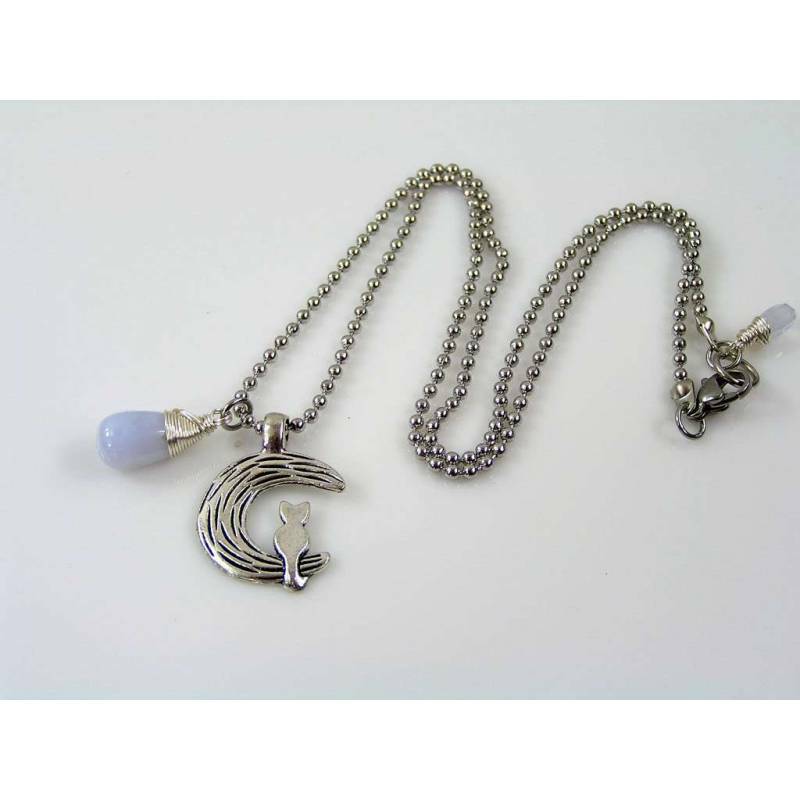 The 2.4mm wide ball chain is made out of solid stainless steel and closes with a lobster claw clasp. 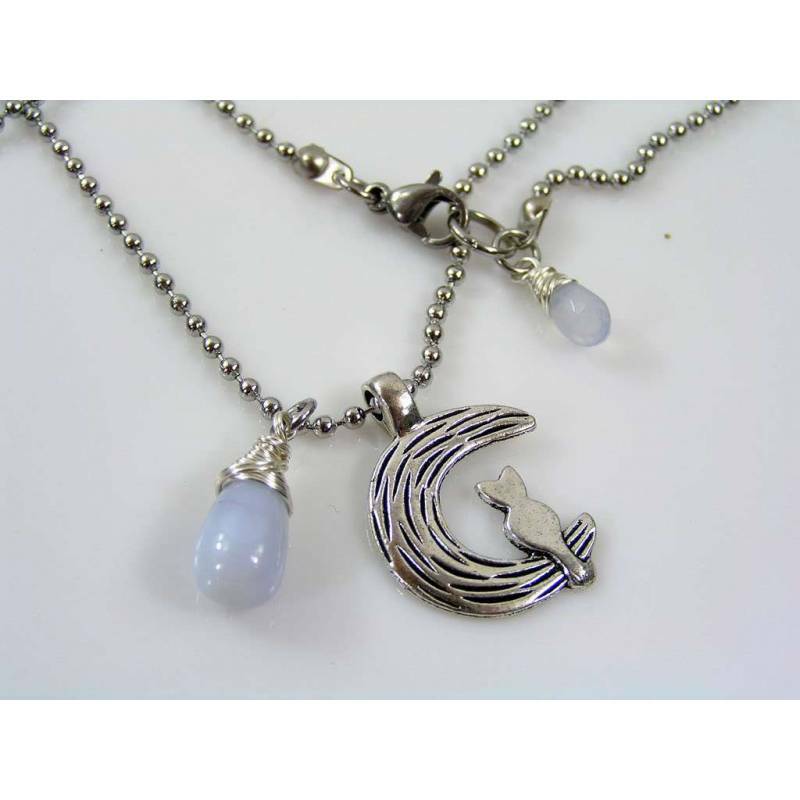 Total length is 45cm, the pendant measures 2.5cm in length. The crescent moon charm is silver finished pewter and all wire is anti tarnish silver tone.